Perhaps you’ve heard of “Affiliate Marketing” in exchanges at work, in YouTube advertisements, or even browsing on Amazon. Certainly, you’ve visited blogs and websites that have made money off the affiliate model – maybe even through you. Hemp Bombs has just launched its very own affiliate program, and, we want to provide as much content to our customers and visitors about this new, exciting opportunity. So, if you’re someone with an entrepreneurial spirit, social media following, or a blog to share you two cents, this post will be your introduction to affiliate marketing and how you can begin to monetize untapped revenue streams in your life. The merchant, also known as the vendor, or the advertiser, is the party that has a product or service that they want to sell or make conversions on. In Hemp Bombs affiliate marketing program, Hemp Bombs is the merchant. We want to drive more sales to our hemp products and more recognition to the Hemp Bombs brand. In order to do this, we’ve created our program to create partners, called publishers, or affiliates. A publisher is someone who simply helps the advertiser execute their goals as determined in their affiliate program. If a merchant wants email opt-ins, the publisher helps them reach that objective. If they want sales, the publisher helps them with that initiative. Really, the publisher is the bridge between a new audience and the conversion opportunity that an advertiser has outlined. So that leads to the question, how is this done? How (and why) does the publisher do this? How do Publishers Help Merchants? A publisher’s main responsibility and value to a merchant is to get a new audience (new potential customers) in front of a merchant. In most cases, this means a publisher promotes a merchant through social media, their blog, or website. The publisher will leverage their own personal audience – readership, social connections, and website traffic – to gain a greater audience for the merchant. The publishers perform this role for a price, however. We will discuss this in more detail later in the post. That leaves us with only one member of the affiliate program left. The consumer is the last piece of the affiliate puzzle – but is as important is any other cog. In fact, consumers are the reason that affiliate marketing exists in the first place. Consumers are the revenue source that both merchants and affiliates take a share of. On the merchant side, in order to maximize their consumer audience, it’s about the maximization of the number of affiliates with the most traffic. For publishers, it’s simply about getting the most relevant traffic to your website. By relevant traffic, we mean traffic that would be interested in the product or merchant that you are partnering with. Now that you understand who the basic stakeholders are in affiliate marketing, it’s time to talk about how it operates. So we understand that there are merchants, publishers, and consumers who make affiliate marketing go round. However, that doesn’t cover the how of affiliate marketing. How exactly is it that a publisher advertises a merchant? How does a merchant know a particular affiliate or publisher sent them that traffic? We answer those questions here. In order for an advertiser to know which publisher sends traffic to their website, they rely on something called a cookie. Cookies are browser-based files that act as tracking devices that monitor user activity. As soon as user visits a website, say ESPN, a small file is stored both on the server and client’s browser. These cookies make it easier to jump from page to page because they “remember” certain information about a user, like passwords, usernames, IP Address, etc… Advertisers rely on these cookies to “remember” unique information about their visitors and what location (publisher) those visitors come from. Cookies do expire so that less data has to be stored by a computer. This is important to the publisher because they want as much time a possible for a visitor to come to their site for the first time (and have a cookie placed in their browser) and then end up converting. Usually, like with the Hemp Bombs Affiliate Program, publishers are paid a commission based on sales they generate. For an affiliate/publisher, the more time they can have a chance of receiving credit for a referral, the better. In order to take advantage of cookies, Merchants (or the programs they run) generate links so they can trace user activity. In Hemp Bombs Affiliate Dashboard, the first page you’ll see looks like the image above. You will see a form called “page URL” as well as a black button labelled “Generate URL.” In our affiliate program, in this area, you can generate unique, traceable text links to send referrals to whatever page you’d like. If you’d like to send someone to a product page, you would place the URL of your landing page in the “Page URL” form. Once you generate these unique, trackable links, you then place the links in text or behind images on whatever platform you would like to advertise on. 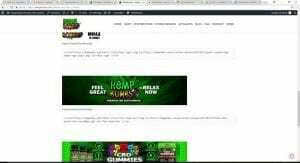 For instance, someone could create a link to Hempbombs.com and place it on a social media blast, within text on a blog, or behind an image on a sidebar. What is important for both the affiliate and the publisher is that this link (and page it sends traffic to) are strategic. These links should be natural and relevant to the consumer. Don’t place ads for guns on an eco-conservation page. But aren’t text links boring? While you can place text links behind images to promote products, merchants will also have “creatives” for you to access. This image is borrowed from the Creatives section in Hemp Bombs Affiliate Program. In our program, we’ve uploaded different banners with their own unique text for our publishers. Affiliates can log into their affiliate dashboard and grab the text from under these banners and place it in their websites. Whenever a visitor would click on that creative and complete a conversion, the publisher would then receive credit for that action. Hemp Bombs will continually add to its collection of creatives for its affiliates to advertise with. As an affiliate, it’s important to experiment with links and creatives to see what converts best for you. Is a certain banner just not converting? Does it have ideal size, or placement? Just like an advertiser would tweak its marketing or page design, so too an affiliate needs to tweak their advertising for their own audience. Conversions (money) makes affiliate marketing possible. Where does this money go to? As we spoke about earlier, the consumer provides the financial injection into affiliate marketing. Whenever a consumer makes a purchase, the money is then split between the publisher and merchant, with the merchant taking the lion share. As a Hemp Bombs affiliate partner, you’d receive 10-20% of every sale made from your referral traffic, within 30 days. There are very few affiliate partnerships that offer such a significant commission payout and 30 day cookies. Truly, the Hemp Bombs affiliate program is one of the most attractive available. 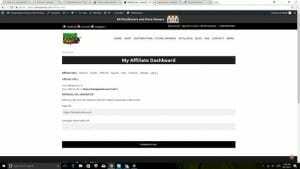 If you’re new to affiliate marketing but looking for a place to begin, Hemp Bombs affiliate program could be the perfect choice. We require little previous experience and have reasonable demands about site size, traffic, or other affiliate indicators. Hopefully, we’ve been able to provide you some understanding of affiliate programs at large and about our own program. Visit our affiliate page to become a Hemp Bombs Affiliate today. Rey, thanks for you comment. If you are a store owner who is interested in reselling our products, you can fill out the form here: https://hempbombs.com/distributors/. i would love to become a distributor pf your product?